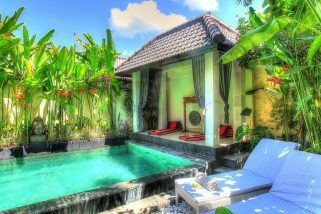 This heavenly villa complex, is made up of two completely separate yet identical bungalows that are directly adjacent to each other. These can be rented as individual units or as a pair for larger groups providing 2 bedrooms a piece or 4 in total. 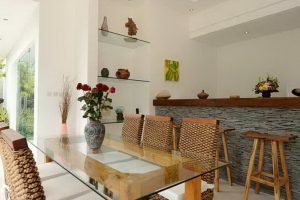 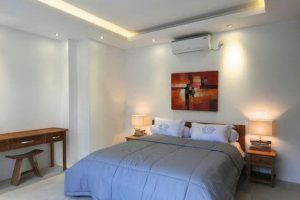 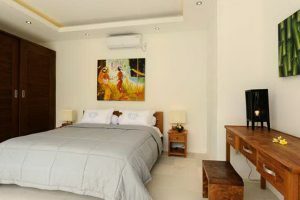 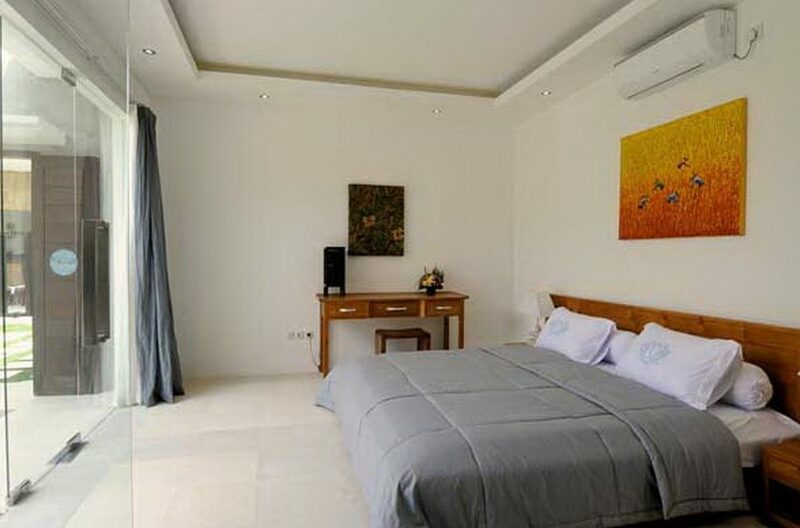 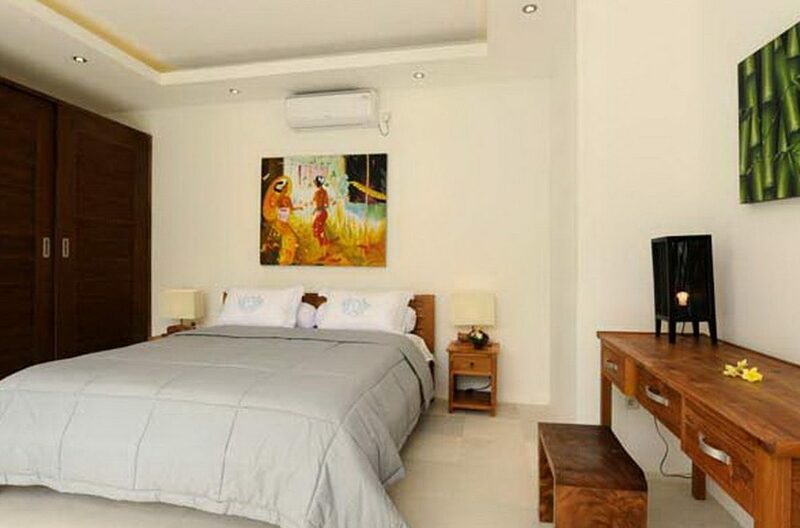 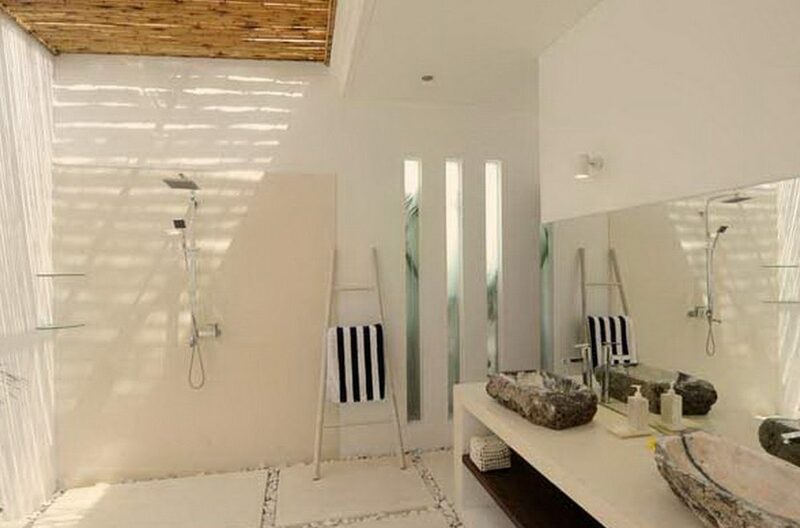 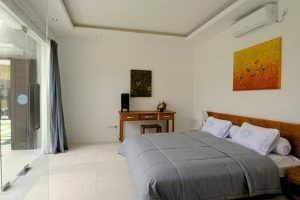 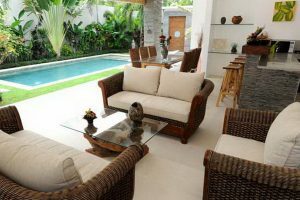 Located in Seminyak, the fashionable seaside, hot-spot of west Bali with easy access to all the fabulous boutiques and tempting restaurants it offers, this versatile choice of holiday rental could not be better placed. 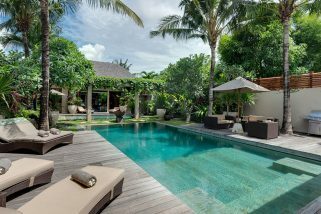 Villa Lotus is entered by an authentic Balinese door which leads into a tropical oasis complete with a divine swimming pool and a profusion of exotic greenery. 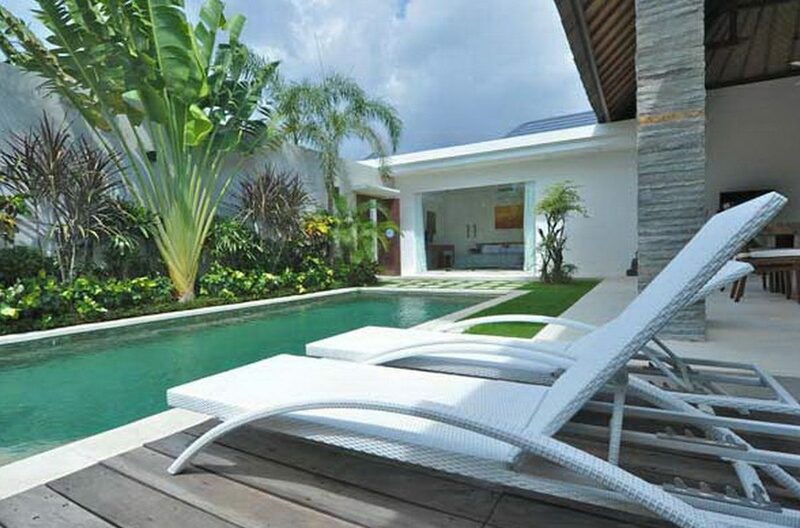 To one side of this is a petite wooden deck adorned with two sun loungers for those long lazy holiday afternoons. The open plan living accommodation sits below a bewitchingly tall, traditionally thatched roof. 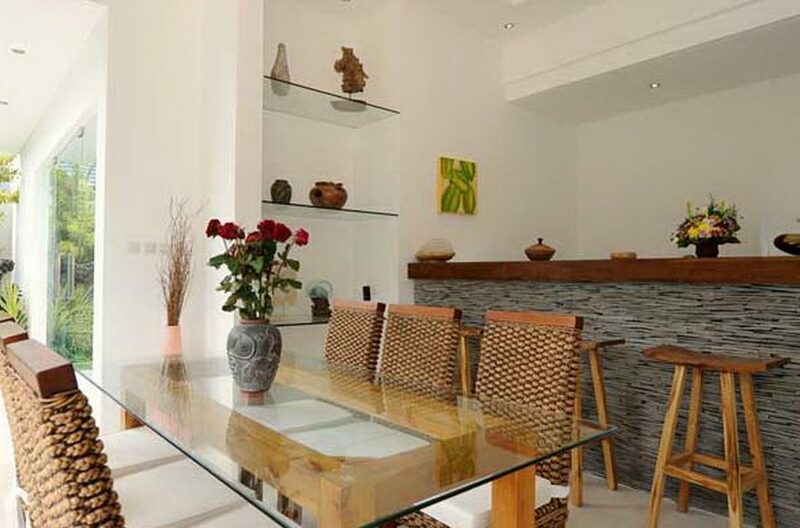 This airy, cool area has a fully fitted contemporary kitchen which is subtly divided from the main body of the room by a stylish slate and wood breakfast bar. 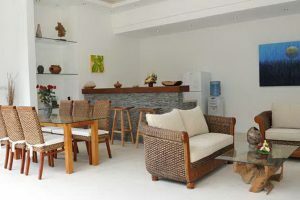 There is beautiful glass and wood eight seater table with chic seagrass chairs to one side of the kitchen where you cannot fail to eat a hearty breakfast. 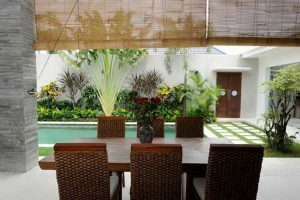 To the other, with tantalising views of the cool waters of the swimming pool, is a comfortable rattan seating area with a coffee table. 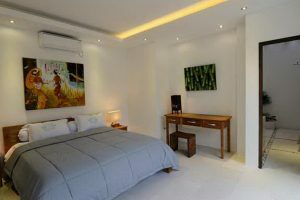 WIFI is available throughout the property. 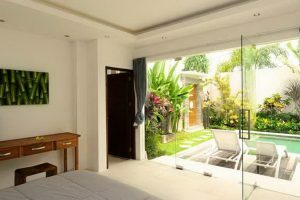 The two expansive bedrooms at Villa Lotus sit at either side of the living area and are reached by large glass patio doors that face out onto the garden. 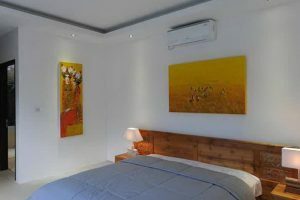 These are both fully air-conditioned and contain large double beds. Peace and tranquillity are fostered by the subtle tones of the décor and colour is added by choice pieces of art on the walls. 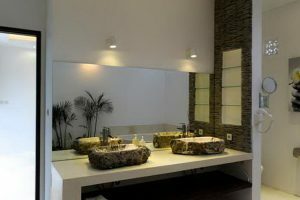 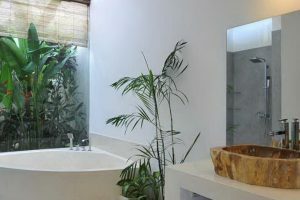 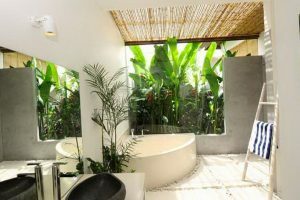 Both of these rooms have upscale ensuites which seek to bring a little of the tropical outdoors into your bathing experience. 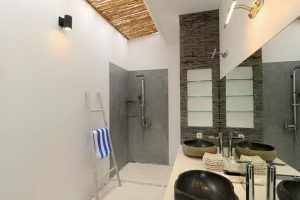 One contains a shower while the other has a luxury corner bath surrounded by greenery which creates the appearance of soaking in a remote jungle pool. 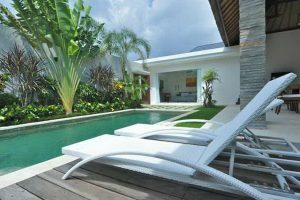 Whether you choose to rent just one or both of these identical dream-like villas, one thing is for sure, there is no way you will ever want to leave. 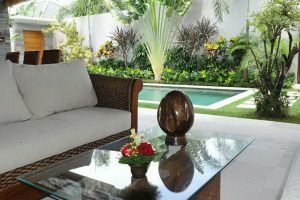 Both Lotus properties are staffed by their own full time maids and we provide a mobile phone with a local number for each. 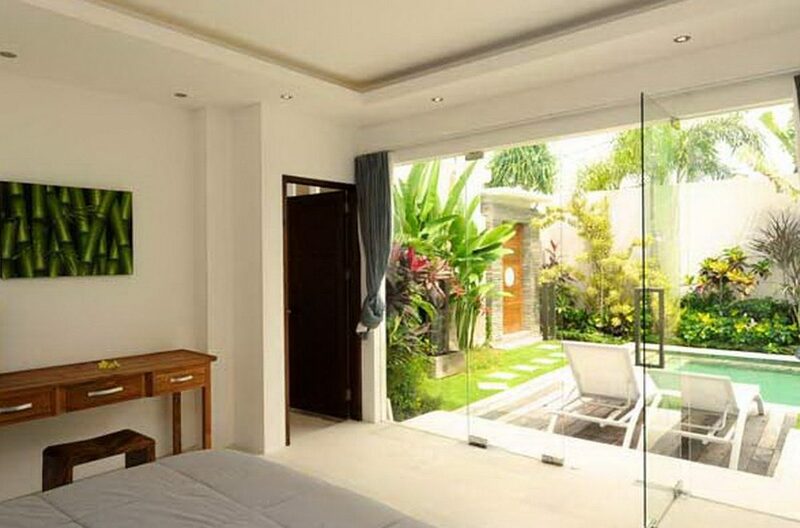 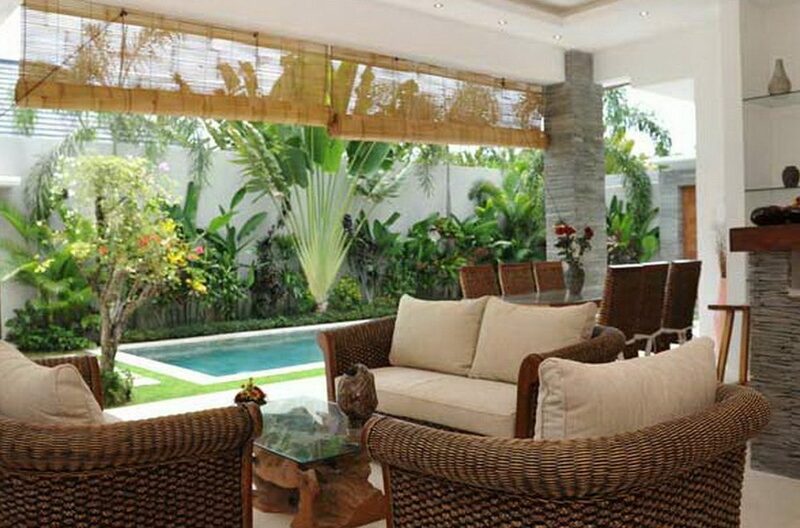 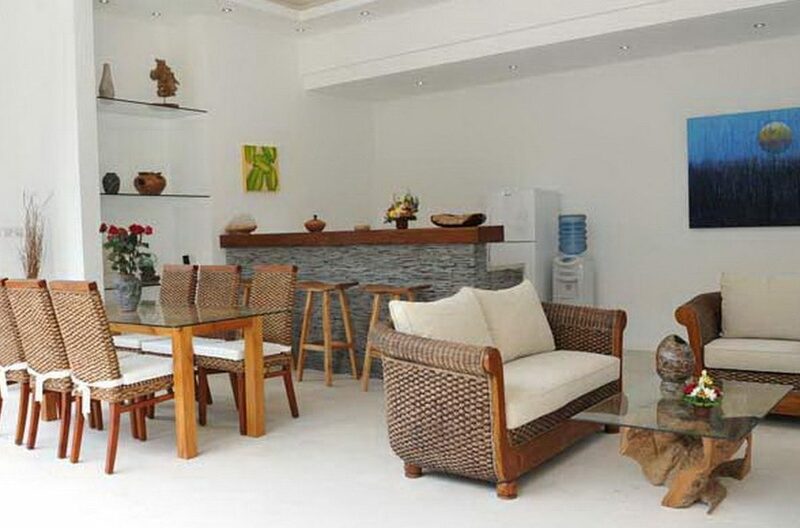 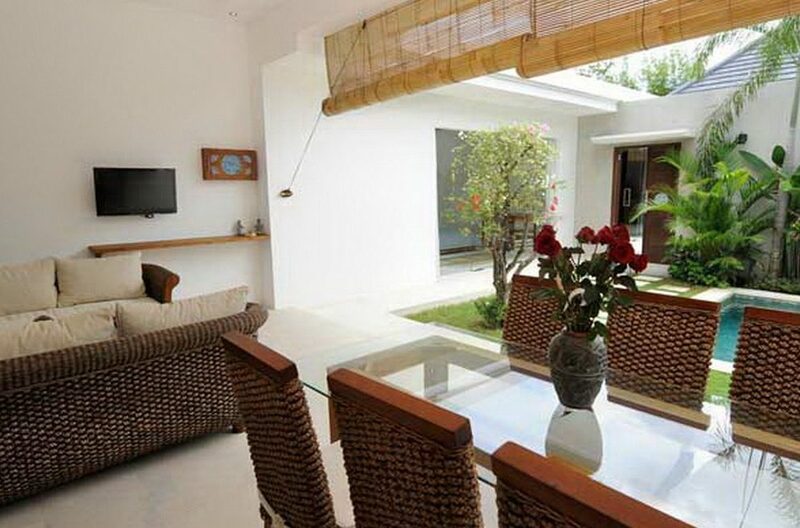 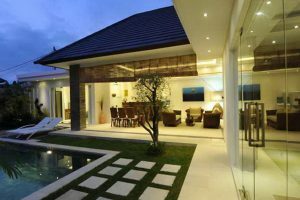 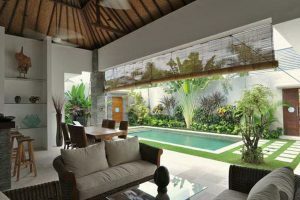 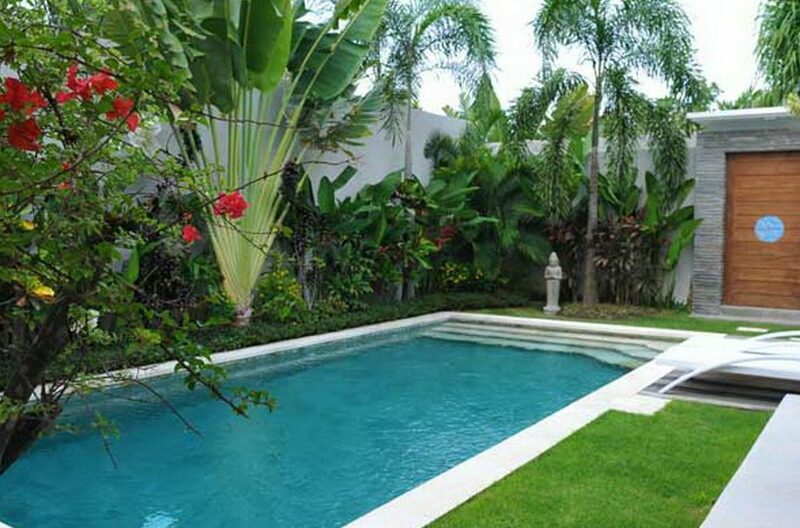 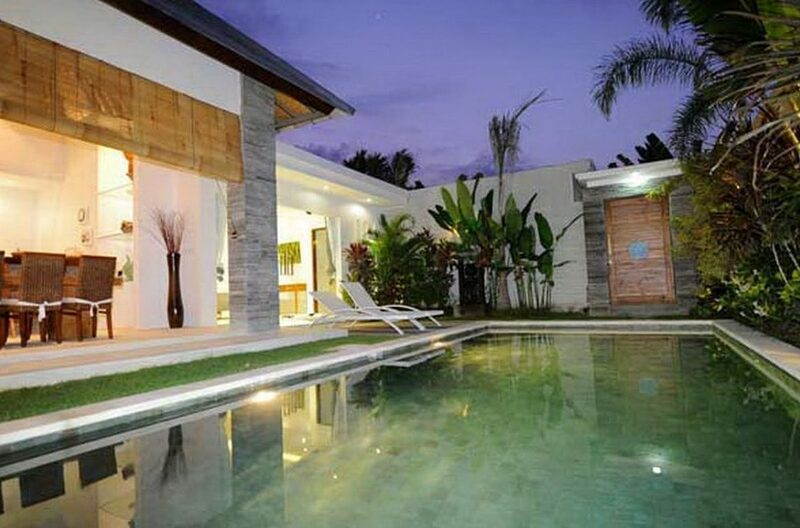 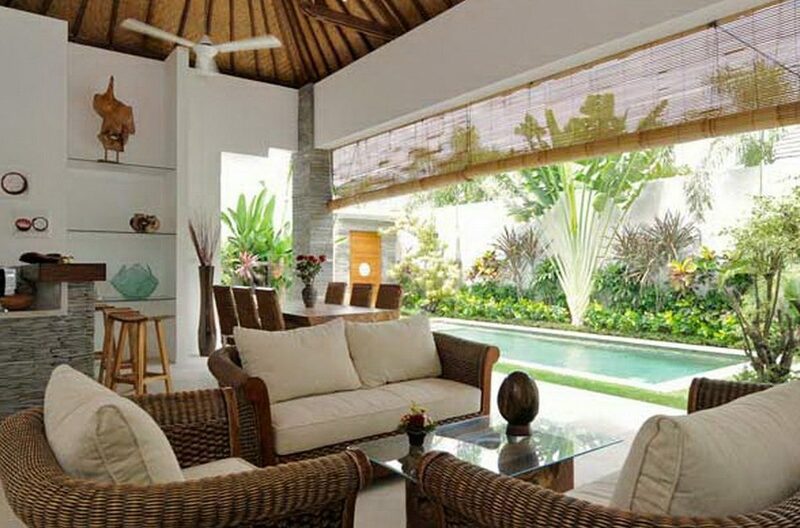 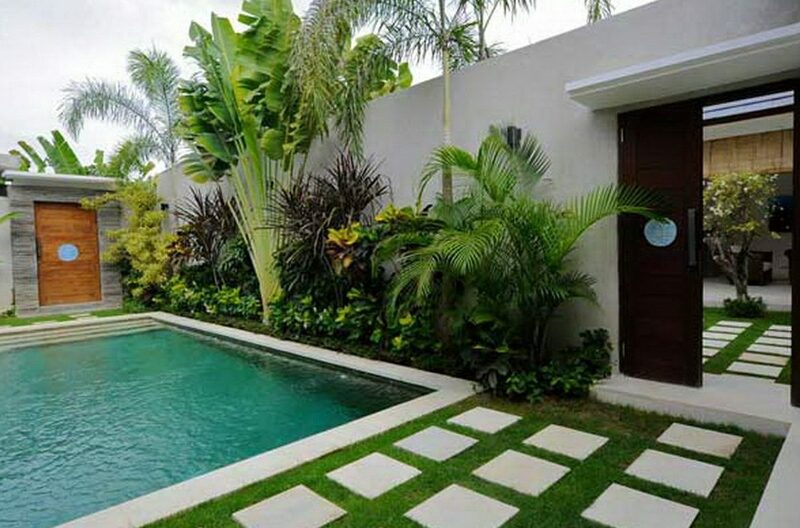 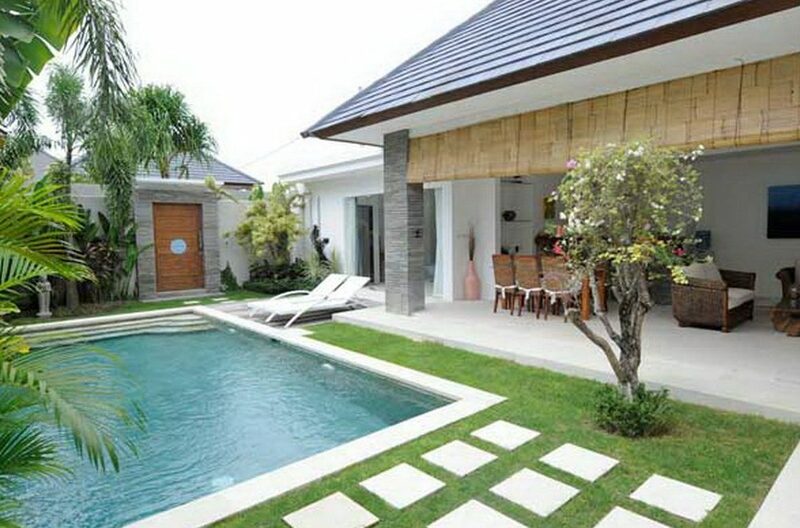 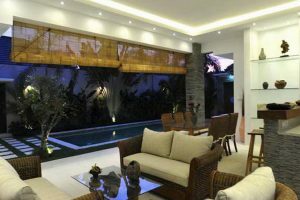 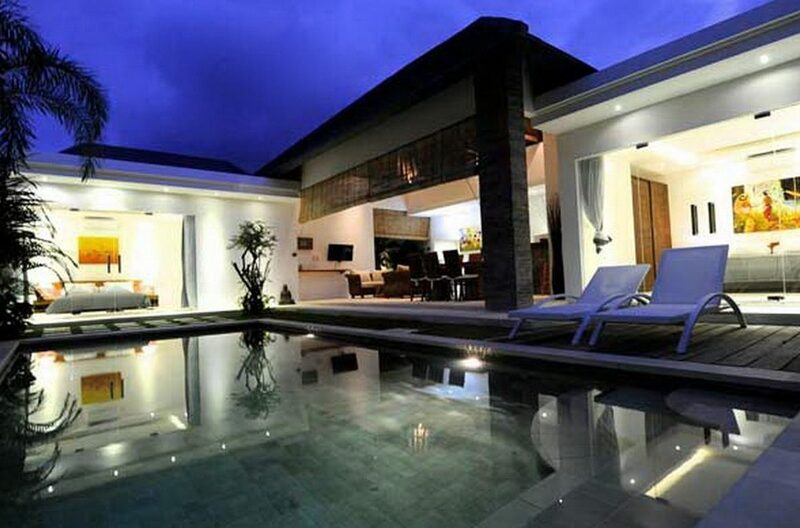 This immaculate 2 bedroom villa is ideally situated in the cosmopolitan district of Seminyak and provides easy access to the many high end facilities in the area. 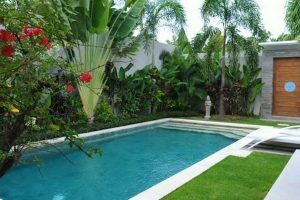 Villa Lunella is on the Petitenget strip which is the most sought after postcode, among discerning travelers to cosmopolitan Seminyak.